As the proud Scottish capital, the city of Edinburgh comes with plenty in the way of accommodation, although room rates are usually fairly pricey. Those arriving in the city without first booking a hotel room may like to pay a visit to the Edinburgh and Scotland Information Centre at the Princes Mall, where staff provide a useful accommodation booking service for a small charge. Although the number of hotels in the city has grown greatly over the past couple of decades, there are certain times of the year when lodging becomes especially scarce. 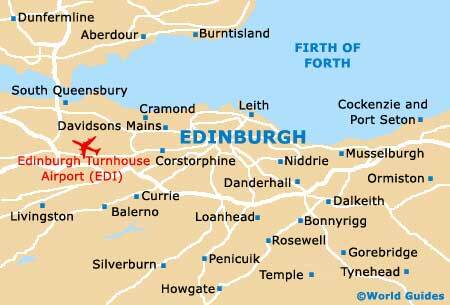 August is a very hectic month of festivals in Edinburgh and most hotels quickly fill to capacity. Also a busy time is the New Year (Hogmanay), and if you have a particular hotel in mind, it would certainly not be unusual to book your chosen accommodation up to 12 months in advance. The cheapest lodging in Edinburgh comes in the form of small hotels and youth hostels targeting backpackers, all of which reside throughout both the Old Town and the New Town areas. There are also a selection of good-value B&Bs awaiting patronage in the outlying suburbs of Bruntsfield, Newington, Pilrig and Tollcross. Those choosing to drive to Edinburgh and looking for accommodation in the city centre should make sure that your chosen hotel has its own car park, since parking in the heart of the city can be quite problematic at the best of times. Chain hotels in central Edinburgh are in good supply. Visitors who prefer well-known brands may like to consider the Express By Holiday Inn on Picardy Place, the Novotel on Lauriston Place, the Radisson Blu on the High Street, or the Ramada Inn on Princes Street, all of which are within walking distance of the castle and other top attractions. For luxury accommodation in Edinburgh, a few hotels stand out from the crowd, and these include the very majestic Scotsman on North Bridge, and the aptly named Sheraton Grand Hotel on Festival Square, where superb city views are to be expected.